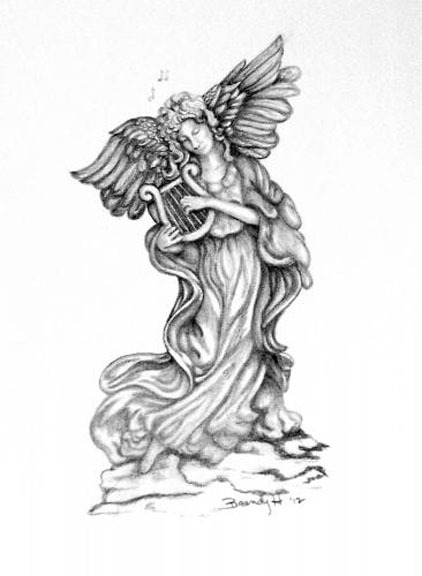 Angel Song is a pencil drawing from a photo of a statue. I like angels and will do more as I find them. The original is 8 x 10 and for sale for $80.